I have used Double Decker Bus in many countries when I visit, especially on the first day. I find that it is the best way to get familiarised yourself with the tourist spot using this bus. After using this bus to get an overview of the town/area, I then use the local public transport to get me around the places I found interesting on the first day. Each bus tour returns to the point of departure then repeats the same course. You don’t have to get off the bus if you choose not to do so. With one ticket valid for the day, tourists may hop-on and –off at any of its destinations to visit the attractions of their choice However if you choose the “night time tours”, unfortunately you cannot hop on and off. 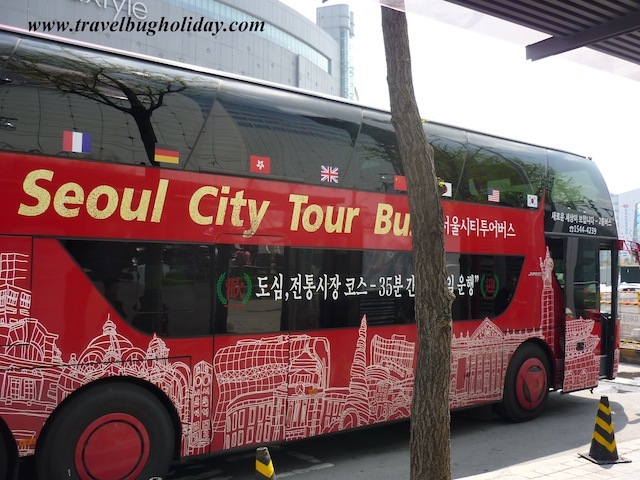 - Multi-lingual audio tour guide in English, Korean, Japanese, Chinese available on each seat. - LCD monitor installed on each seat allows you to learn about the attractions before you arrive, en route. - A foreign language interpreter (English, Japanese, Chinese) will also be present on the bus to answer any questions you may have. 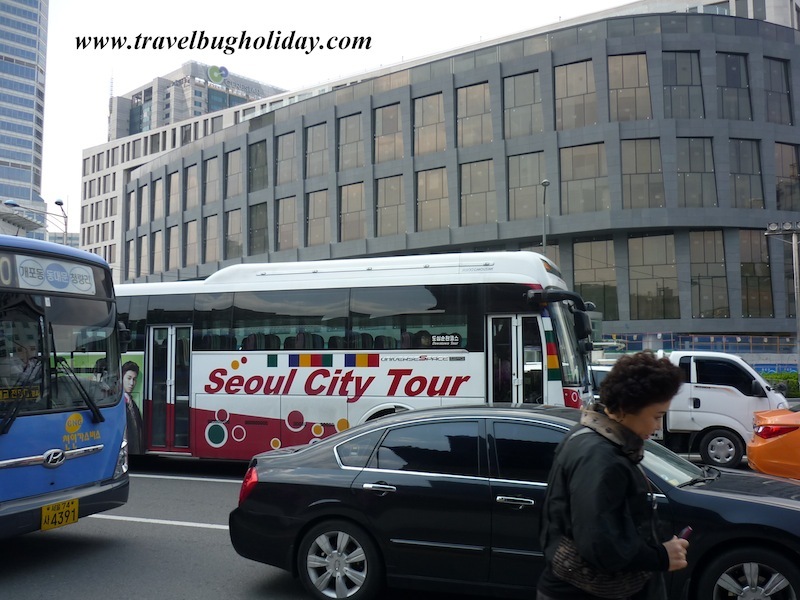 - Pamphlet detailing Seoul City Bus Tours and destinations. - Discounts for Seoul’s museums, performance halls, casinos and entertainment venues. Every day, except on Mondays.
? Buses run on Mondays if it's a holiday. *The Cheonggyecheon Royal Palaces tour runs from 10 a.m. during the months of March, June, September, and November. All other months the tours begin at 9 a.m. The Cheonggyecheon Royal Palaces tour does not stop by Deoksugung and Chenggye Square on Saturday afternoons after 2 p.m., holidays, and on occasions when the routes may be closed. You may buy tickets directly from the on-board guide at any of the City Bus Tours if and when there are seats available. Note that you can pay with credit cards at the all Ticket booths but certain stops only accept cash only. So far in all my travels, Korea's Diyble Decker bus is the cheapest ticket I have ever paid. Well worth it.